Attention fellow Prospectors & Miners, the Forest Service has ordered a winter closure of 3N16 through Holcomb Valley. We need all of you that will be affected by this to write emails. Here is the email I sent to Scott Eliason and Jody Noiron about Holcomb Valley being closed for the winter. Please write your own personal comments to them about how this closure, which has already been ordered, will affect you. It doesn't need to be elegant as much as heartfelt. I just heard That The US Forest Service. They are going to close Holcomb Valley for the winter. Please spread the news and contact the SBNF. Remember once the Forest Service starts Adding gates they like to keep them closed all year. Please log in with your member account to view the newsletter. Just a reminder that annual dues are due July 1st. Attached below is the renewal form. Please log in with your member account to view the ballot. President Obama's proclamation of a new national monument he designated in California's Mojave Desert has rockhounds worried they are no longer welcome on public lands with a reputation for prime gem and mineral specimens. The proclamation ensures public access for utilities, cattle ranching, hiking, camping, backpacking, hunting, fishing, rock climbing, bicycling, bird watching and other outdoor recreational activities in Mojave Trails National Monument, which encompasses 1.6 million acres of federal land along a 105-mile stretch of old Route 66 between Ludlow and Needles. The one thing visitors apparently can't do in mineral hot spots, including Afton Canyon, the Cady Mountains and Lavic, is take a rock a home. 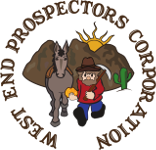 Here is a message from First Class Miners that is important to all prospectors. Please read the email and add a comment on the nps.gov webpage. I have opened up comments on this post(click Read More). For those who are .gov illiterate, click here for the proposals. If you wish to share your comments please do so. Good morning! Many of you are aware that the National Park Service completed their study of the Eagle Mountain area and the possibility of annexing BLM land into Joshua Tree National Park. The study is available online for print or view. In a nutshell their are 4 Alternatives. Alternative A leaves everything the way it currently is. The park service's preferred and proposed alternative is C, which would bring the land into the national park. We would lose ATV, dirt bike travel. Claims would require validity paperwork which could be costly. Camping and fire restrictions could also be a possibility. I request that ALL members take a look at this document and submit comments. It's our last chance. 2. At the bottom you will see a link to the document. It is large and I encourage you to read it. But specifically look at the 4 alternatives A-D.
3. You will also see a button in the middle of the page that says "comment now" Click that to comment. Note the final cutoff for comments is May 27th.